Winter is now behind us and crops at the Allerton Project, designed to meet game shooting and Environmental Stewardship requirements, continue to do well. 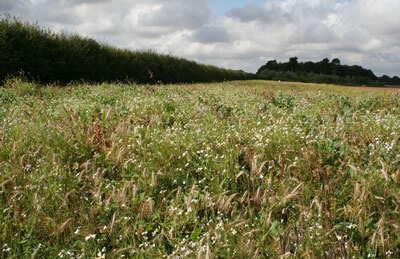 With valuable input from Kings, the move away from maize to various wild bird seed mixtures has been successful, providing a diverse range of holding, driving and feeding crops. The kale-based spring-sown wild bird mixtures planted in May have thrived due to the mild winter and the brassica species grew through to December. These have been complemented by the second year plots, which were full of nutritious kale seed that provided food for a host of farmland birds. The autumn-sown wild bird seed mixtures remain of great interest, and both farmland wildlife and visitors have responded positively to the ‘mirrored’ old and newly planted plots. Planting these mixtures in September provides a valuable source of insect-rich brood-rearing cover from May to July, followed by a broad range of seeds through the following winter. This option has been lacking on many farms, but now that an ‘autumn bumble bird’ wild bird seed mix is included in the new Countryside Stewardship scheme, hopefully its exposure at the Project will encourage growers to plant it. 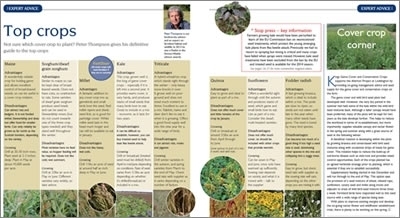 Click here to download your essential guide to which game cover crops to plant produced by the Game & Wildlife Conservation Trust.